I have only visited this marina once and had trouble making it in with my 5.5 ft draft. The entrance a bit shallow, the charts says the approach depth is 7 to 8 ft but I bottomed out just after the entrance had been drudged. Also the approach has a strong cross current so be careful when entering and leaving the marina. I captained a C&C 36 sailboat from this Chesapeake Bay Maritime Museum to Port Huron Yacht Club. It took about 3 days to prepare for the long journey so I spent a few days exploring the marina and surrounding area. 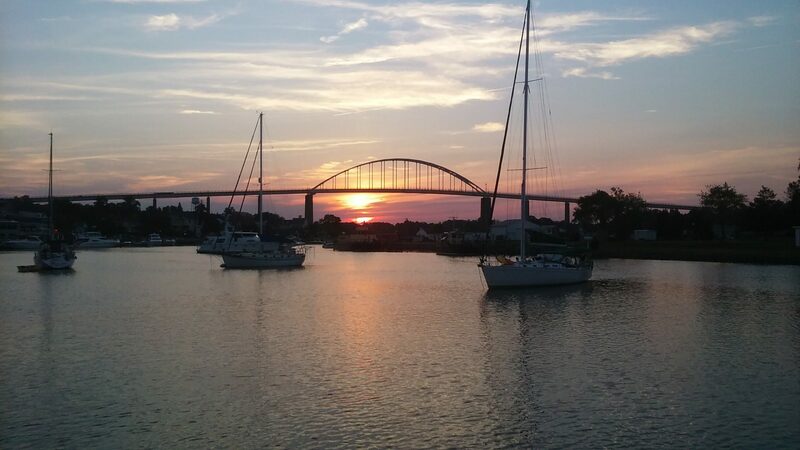 I have been to Cape May Harbor twice in my journeys, once I stayed in a transit slip at the South Jersey Marina and once at the Anchorage: Cape May Harbor East. Both times were pleasant experiences but the Marian, as expected, was much more expensive.